One of the most prolific Kenyan taarab musicians from the 1950s and ‘60s was Yaseen Mohamed. Born in Mombasa in 1922 to a Omani mother and Kenyan father, Yaseen got professionally involved in music while working for a Mombasa-based music store as a radio technician during the second world war. Assanand, which would later grow into a well known music store brand with branches in Nairobi and Dar es Salaam and whose name is still on a store front in Nairobi today, started recording local musicians for Columbia Records to meet demand of a growing market for East African music on 78 rpm shellac records. Around 1950 Yaseen joined the recording sessions at Assanand as a singer, cutting a couple of songs for Columbia Records. In the next fifteen to twenty years many more followed on a number of labels, including Jambo, which released songs he recorded as Yaseen & Radio Singers for Sauti ya Mvita, a local radio station. 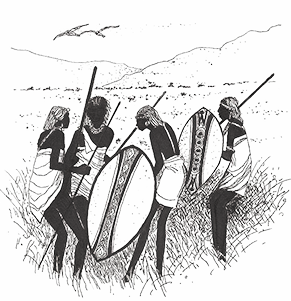 Towards the early ‘60s Assanand started its own label called Mzuri, which would continue to put out an impressive range and number (hundreds) of songs from Kenya and Tanzania up to the 1970s on 78 rpm records and 45 rpm singles. One of the first releases on Mzuri was indeed by Yaseen; ‘Harambe/Africa Twist’ (Mzuri HL 2) carried the enigmatic name of Mac & Party (a group name that was not remembered by anyone we met in Mombasa) but an early Mzuri master catalog mentions Yaseen as the artist. Other Yaseen releases on Mzuri were under the name of Yaseen & Party. At least some of the songs were available both on fragile 78 rpm records as well as the handy and modern 7 inch format. 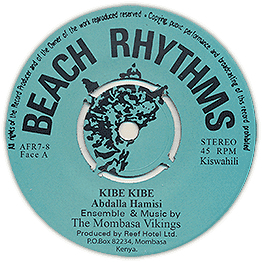 While many of Yaseen’s releases under his own name (sometimes accompanied by his wife Saada, also known as Mimi) were Swahili songs in a number of styles loosely based around the increasingly eclectic Mombasa taarab, this and following Mac & Party singles were mostly sung in English, and musically the Mac & Party songs related to the international pop styles of the era. As Yaseen explained in the ‘60s to musicologist John Storm Roberts: “There is no certain thing which is tarabu. Even rock is tarabu if people just sit and listen”. Rather than explaining the genre by its borrowing from Arabic or Indian musical traditions, to Yaseen it was mostly the way the audience experienced the performance – sitting down – that made taarab unique, while “style depends on the people’s choice”. This would explain the experimentation and innovation during the era, and the introduction of new instruments such as tabla, a drum kit or the taishogoto, a Japanese harp. In a way, Mac & Party’s light hearted songs can be seen as an early example of pop targeting foreign visitors to coastal Kenya, an approach that – twenty years later – introduced thousands of westerners to Kenyan music via pulp compositions such as ‘Jambo bwana’. 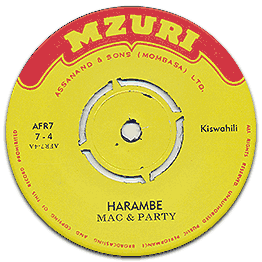 However, the Mac & Party compositions were uniquely Kenyan, as can be heard in the instrumentation on on both ‘Harambe’ and ‘Liverpool’ which bridges to the taarab sound of the era, not least with its trademark electronic organ sound, and even in Yaseen’s vocals in ‘Harambe’ – right from the intro ‘Msenangu’ meaning ‘my friend’ in Giriama language. The lyrics to ‘Liverpool’ (the b-side to ‘Hi-Life Mambo’, Mzuri HL 59 and reissued by Philips) are a youthful fantasy of becoming rich and moving to England, released shortly after Kenya became independent. An edited version of the song, which was included on a Dakar Sound promo cd in the 1990s, ended up on the late BBC deejay John Peel’s playlist. ‘Harambe’ was most likely released in 1963; harambe was a concept promoted in post-independence Kenya under president Jomo Kenyatta, urging communities to stick together to build the nation, and the single’s b-side followed the international dance craze that was the twist. A clue to Yaseen’s reasons for leaving the music industry can be found in the lyrics of one of his Mzuri singles, ’Nimepata mwana’ on which he sang about the birth of his first son. As new parents, Yaseen and Saada decided that their hobby of music should take a back seat so that they could provide for the family. In the early ‘70s, Yaseen moved to Oman where he worked as an engineer. In the next decade, his earlier releases got distributed outside Kenya through the compilation ‘Songs the Swahili sing’ (Original Music) which featured two of his songs. Yaseen Mohamed passed away in 1985; even though the majority of his songs came out over half a century ago, he’s still remembered as one of the most important names in Mombasa taarab. Some of his later songs are available on the Zanzibara 2 compilation (Buda Musique, 2005) and one of his sons has uploaded a number of tracks to Youtube.This and two other singles are now available again from afro7.net head over to the shop and grab your copy. Special thanks to Michael Kieffer for the transfer of Liverpool track. Loi Toki Tok band started out as a nondescript musical group. 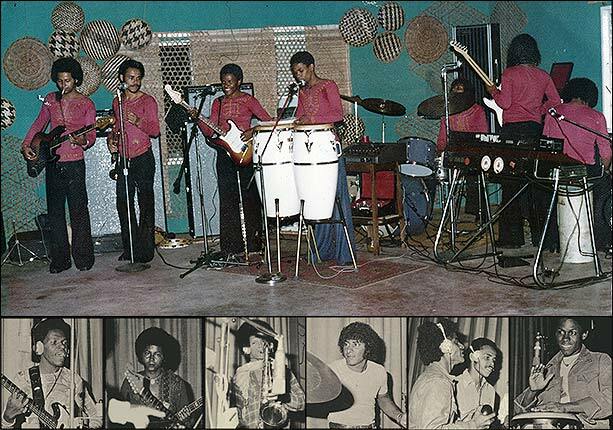 But irrefutably, the band’s star scaled the heights and shone brightly on the early 1970s Kenyan capital, Nairobi’s burgeoning live music circuit. And basking on the top of the pops charts, was vocalist/multi-instrumentalist Leon Kabasela aka Kalle. He also doubled as band’s composer and songwriter – earning credits for among other tracks, this mellow ‘ballad’ aptly titled Mungwana – loosely translated in Swahili, is descriptive of a selfless and conscientious gentleman. Kalle is one of handful surviving remnants of the band, whose lifespan was somewhat short-lived. It lasted barely three years – circa 1971 to mid-1973. Mungwana’s lyrics, sang in Congolese lingala dialect, mirror his roots and musical dream, which lured the youthful artiste during late 1960s to pack bags, and desert the rural fringes of Lubumbashi – then Zaire’s second largest city. On the 45 single flipside is a soulful, funky hit Chakacha – a seemingly timeless afro-soul flavoured cut. Its catchy and hypnotic lyrical refrains, easily grow on the listeners. The vocals of the band’s one-time frontman, singer Kasim Combo, ooze with an unmistakable tinge of late 1960s to early 70s American soul rhythms, propelled onto the global showbiz spotlight by US pop stars Otis Redding, James Brown and Jimi Hendrix. Their popular hits gained massive, almost staple airplay on Kenya’s then sole broadcaster’s twin national radio stations. 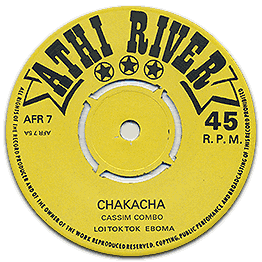 The fact that this record was pressed on an obscure Athi River label, is perhaps symbolic of Loi Toki Tok’s last band phase – shifting base from Club Arcadia in the heart of Nairobi, to the Small World Club in Athi River – an equally nondescript urban town, tucked away along the Mombasa highway. This and two other singles are now available again from afro7.net. head over to the shop and grab your copy. Special thanks to Rainer Windisch @ konzeptlos.org for the Mungwana transfer!